Dr. Oliva received her M.D. degree from the University of Barcelona, Spain, residency and fellowship training in Surgery in the Department of Surgery, Hospital Clínic i Provincial de Barcelona, Spain, and residency training in Anatomic Pathology in the Department of Pathology, Hospital de la Santa Creu i Sant Pau, Barcelona, Spain and the Department of Pathology, Massachusetts General Hospital, Boston, MA. 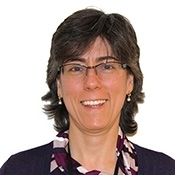 She is Associate Professor of Pathology at the Harvard Medical School, Associate Scientist in the Vincent Center for Reproductive Biology, Massachusetts General Hospital, Boston, MA, and Associate Director of the Residency Training Program. Her research is focused primarily on morphological and immunohistochemical observations in tumors and tumor-like lesions involving the female genital tract and has published more than 135 original articles in peer-reviewed pathology journals. Dr. Oliva is widely recognized as an authority in gynecologic pathology and is a frequently invited guest speaker on subjects in her areas of expertise in the United States, Mexico, Central and South America, and Europe. She serves on the editorial boards of seven surgical pathology journals. SMARCB1-deficient Vulvar Neoplasms: A Clinicopathologic, Immunohistochemical, and Molecular Genetic Study of 14 Cases.